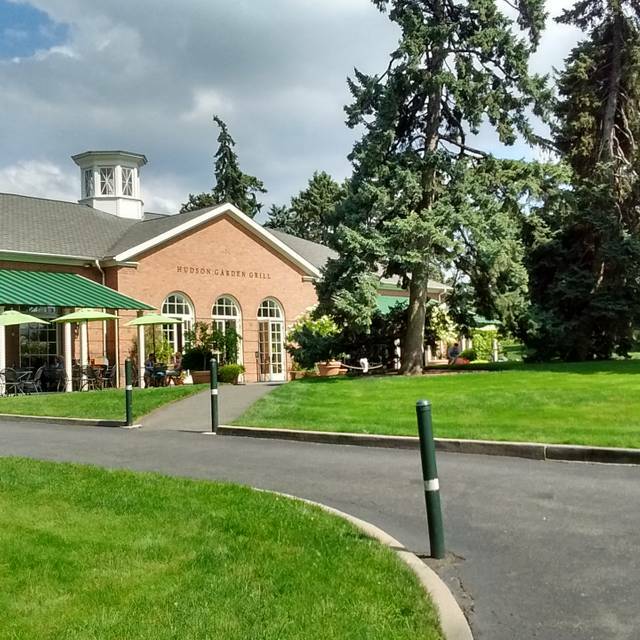 You must make reservations at least 5 minutes in advance of the time at Hudson Garden Grill at the New York Botanical Garden. Convenient parking is available onsite via the Conservatory Gate Entrance at 2900 Southern Boulevard. Parking is $12 weekdays (2 hour free parking available from 11:30am - 2:30pm weekdays for those who choose to dine only). On weekends, holiday Mondays, and peak dates, parking is $15. Harlem local to Botanical Garden Station. Walk across Southern Boulevard to the Garden's Mosholu Gate entrance. Just 20 minutes from Grand Central Terminal! Accessible via the B, D, or 4 train to Bedford Park Blvd Station. STARR Events, offers an innovative restaurant-driven approach delivering inventive cuisine, artful presentation and unparalleled service. Every event and menu is customized to ensure an individualized and memorable experience that fulfills each client’s vision, whether it be a sophisticated social gathering, note-worthy corporate event or distinctive non-profit fundraising gala. 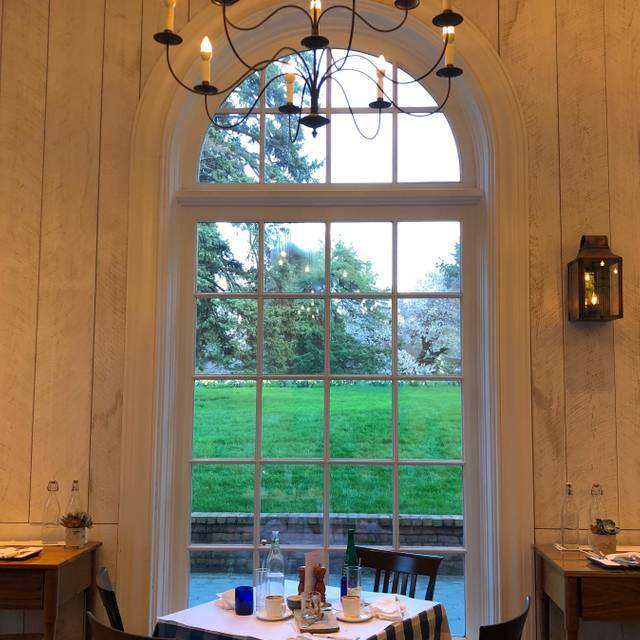 Set among the towering pines of The New York Botanical Garden's Ross Conifer Arboretum, Hudson Garden Grill serves as a spectacular backdrop for modern farm-to-table cuisine. 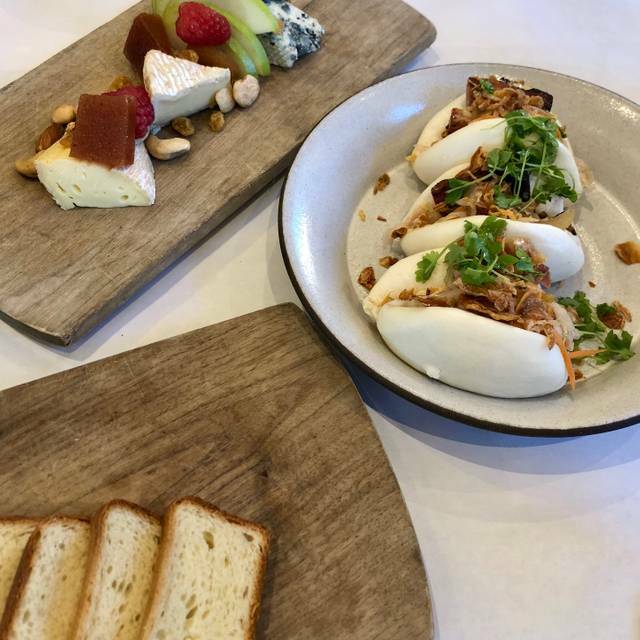 Featuring the bounty of New York's Hudson Valley and the surrounding hills and waters, the menu embodies the restaurants dedication to partnering with family farmers for ingredients grown, raised, and foraged locally-- with exquisite results! 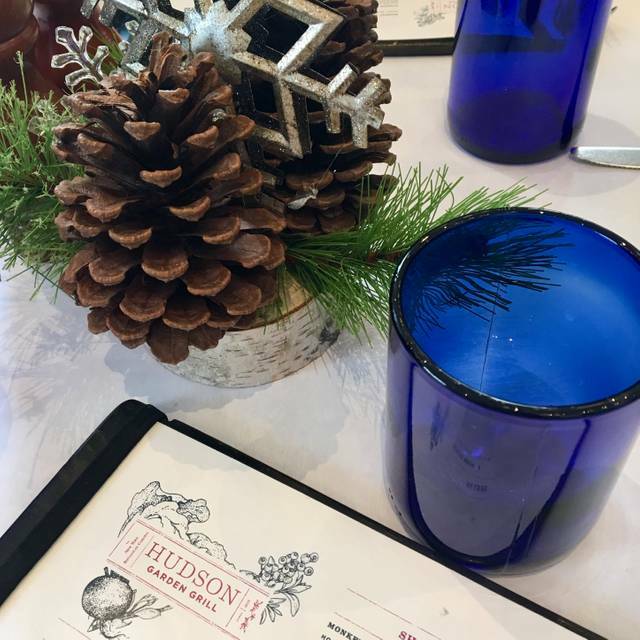 As a party of four, we had a wonderful experience at Hudson Garden Grill. Reservations are a must and we were seated as scheduled. The waiter was exceptional and the food came appropriately timed. The cost is a little high, but the food was delicious! Crab cake fabulous as was the appetizer of shrimp. Burger was done as requested and very good. Delicious farm to table food well presented! Pleasant decor and good service. We had very slow service, had to ask for water twice, and were seated next to a very loud family with screaming children who were running all over and throwing things off the table constantly. Management did nothing to stop this behavior or ask them to quiet down. The meal was small and very expensive. I had a little crabcake with some white fried noodles that resembled styrofoam. Next time I will go to Arthur Ave and have a decent Italian meal. Those restaurants know how to serve lunch! Great location in the garden but food definitely not what it used to be. Limited menu; stick with the basics. The interior is very pleasant. High windows looking out into the gardens. The service was very good. The selection on the menu had something for everyone. Very pleasant experience. 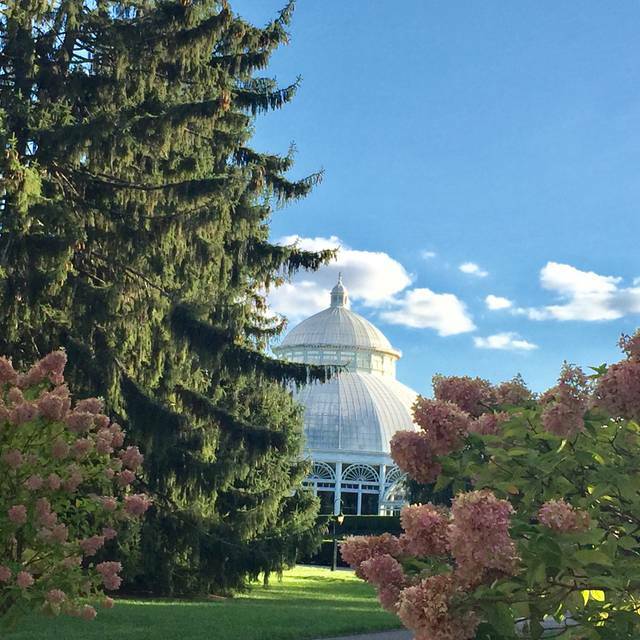 This restaurant is the perfect addition to a day at NYBG. The food and service have been terrific each time we've been here. The large windows provide a very pleasant view. We'll certainly be back. The restaurant has a lovely peaceful atmosphere and good acoustics so dining is a pleasure. the menu is somewhat limited but the dishes we ordered were excellent. It is a time to sit back and relax and enjoy lunch after walking around the conservatory and the extensive grounds. I like the menu that was themed to the Singapore exhibit in the conservatory. What a good idea. Three of us returned to the Hudson Garden Grill after having lunch there a year ago, compelled by the memory of our first dining. We were not disappointed. A seemingly simple menu but a complex offering. Superb. A bit crass: animals eat, humans dine. 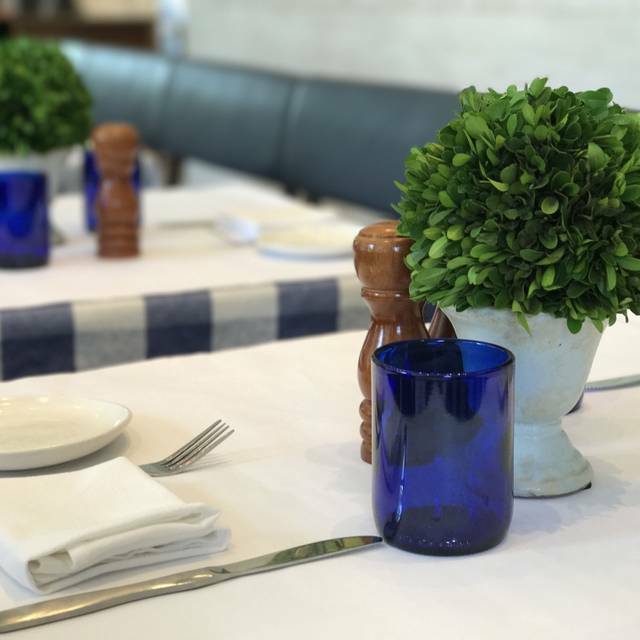 The Hudson Garden Grill is dining at an excellent, delightful, most tasty level. It is a lovely place in a lovely setting. I have enjoyed it many times since it opened. & it was over cooked - I ordered it rare it. It also was served on a mushy roll - it used to be served on a brioche roll. Not worth $20. I also ordered a salad which I enjoyed. It was fresh & very tasty. best cobb salad I have had in my life. great scenery and nice ambiance. would come back in a heartbeat. 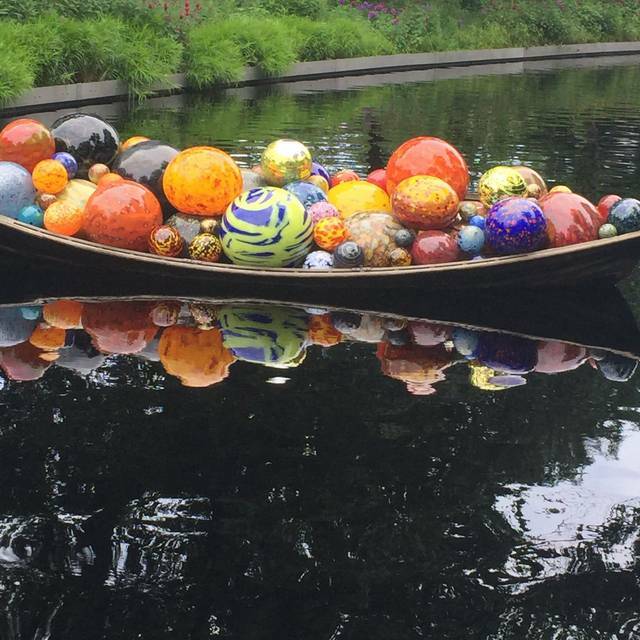 A must venue to take in if you’re at NYBG. We would definitely go again. A very pleasant experience. The food was good. Our rating would be a 3 1/2 stars if the rating system would allow us to record it. We always have s great time at the restaurant. Everything is fresh and delicious. The atmosphere was cordial and warm. My wait-person was highly personable and attentive. We enjoyed his banter and the story of being one of 5 (being the only boy). The setting/location was very nice. The menu offered Singapore themed dishes that were tasty. The service was very good as well. Service was wonderful Our server was fantastic and those assisting her were equally as friendly and efficient. All our dishes were just great, especially the seafood ones. Presentation was very nice as well. Entrance needs to be better marked, though, and more inviting with signage on paths and maybe a sandwich board out front. Once inside the décor and atmosphere were quite pleasant. Our party of four had a very nice experience. This restaurant is very nice and a great place to have a meal when visiting the Garden. The food is very good and the setting is lovely. Prices are moderate. I recommend making a reservation as this place is quite popular with Garden visitors. It was great but one thing is missing - the monkey bread. Love the ambience and the staff were so wonderful! always delicious food with a different twist on typical entrees. Always have lunch here when visiting the Gardens. Birthday lunch for my BFF. Everything was lovely....except that on this 3rd visit, our Firecracker shrimp were not only cold, but came out with our entrees! This was an expensive lunch....and I didn’t want to spoil my friends special day....so I said nothing. Would have been nice if the appetizer arrived before and was the proper temp! We were pleasantly surprised. I booked the reservation solely because it is close to the NYBG conservatory. The food was delicious! We were seated outside which would be lovely I warm weather. Our server had a tough time. She forgot the type of fish for the catch of the day and had to go back to the kitchen 3 times. She also didn’t pour our water and didn’t bring extra plates although we asked twice when we first ordered. Despite this I would gladly return, the food was that good. We had the omelette, crab cakes and fried rice entrees. All very good but the crab cakes were outstanding! I have eaten at Hudson Garden Grill a number of times and have always been pleased. Our food (buffalo cauliflower appetizer, crab cakes and rum flan) were all delicious. Service was a bit slow but we think it was definitely a fault of the kitchen and the restaurant was very busy. Our server was very attentive. Combining dinner with a visit to the Garden makes a lovely evening. The Hudson Garden Grill exceeded my expectations. 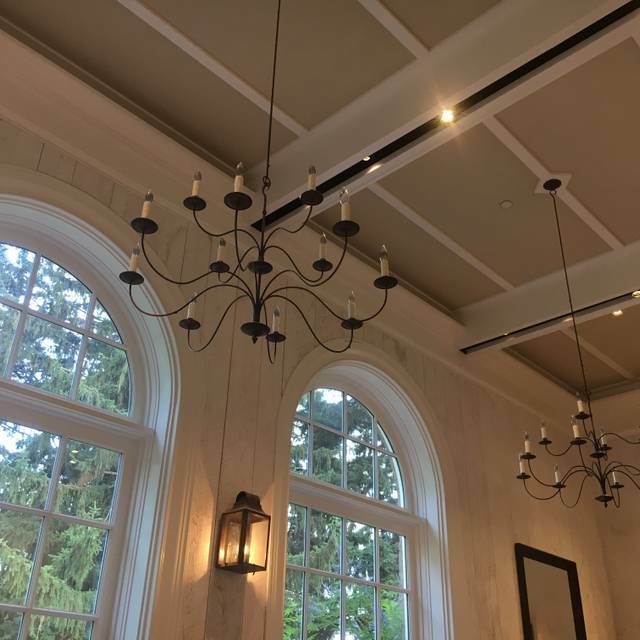 The ambiance was sophisticated yet relaxing--airy, light-filled and uplifting, with the tall ceilings and large windows. The food was tastefully prepared and beautifully plated. And, the portions were plentiful. The service was attentive, professional, and friendly. The crab cake is among the best I've had. our waiter was a delight! he was attentive and helpful (guiding us toward the correct wine to accompany our lunch) ; my friend & I thoroughly enjoyed the whole experience! it's such an easy trip to the Gardens: takes less time to get there than 60th St to Union Square! Lovely lunch after a wonderful tour of the orchid show. A perfect match! It was good but my burger was overcooked. Wonderful seating....able to spend a couple of hours, relaxing and eating. Room atmosphere is so pretty on a sunny day for a lunch with a dear friend! Food was delicious...cocktail, appetizer, entree and dessert with coffee. Attentive service throughout! Singapore salad with shrimp and veggie burger, no bun, were wonderful! Really good vegetarian choices that make this a must destination. I have dined there on numerous occasions and the food is always excellent but the service is fair to poor every time. Last time we ordered a coke along with other drinks. They brought all but the coke. Said they ran out what else would we like. We told them but never got the drink until we asked a few times. Same for check. They asked if we wanted dessert, we said no please bring the check. After 15 minutes later server comes and ask how we are doing. We again asked for check. Good food but just a bit frustrating with the service. 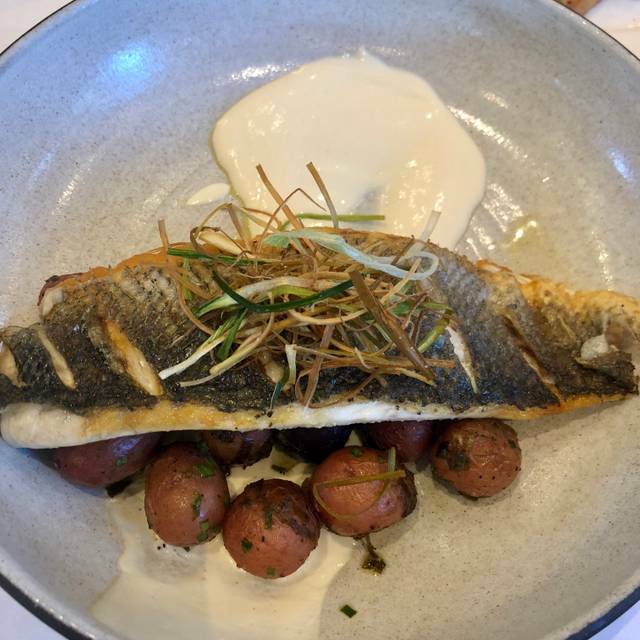 Our 3rd experience at the Hudson Garden Grill, unfortunately it wasn’t a great one. Came for a late Sunday lunch- service was very slow. After a very long wait for my starter ( soup) it was brought out with our main courses and just dumped on the table. I probably should’ve asked for it to be taken off the bill, but the server vanished quickly into thin air and never came back to check on us. After a very mediocre veggie burger and chicken Cobb salad we had to flag the server down for the bill. They need to do something about the ventilation inside the restaurant, it was very hot and stuffy with no air circulating, just a strong odor of grease. I felt relieved to get out of there and into the gardens for some fresh air! I've been to the Hudson Garden Grill at least 3-4 times now, with my mom during our annual trips to see the Orchid Show and the gardens in the summer time. The food there is fresh, farm-to-table, and innovative- changing with the season or the event that is featured. This time around was a "Celebration of Singapore," which provided some new Asian inspired dishes to choose from. I chose the crabcake, which came with lots of jumbo lump crab meat- very fresh and delicious. I wasn't too fond of the crispy clear noodles that were on top of it- mostly because of the amount of them- it would have been fine to do a smaller sprinkling, as my plate was very overtaken by the noodles which didn't add too much to the flavor of the dish and I would consider a garnish. Additionally, the bok choy is stringy and hard to cut, so I really was only able to eat the crab cake- for $32. My mom ordered the Chicken Cobb salad which is always excellent. For dessert we tried the Chocolate Croissant Bread Pudding with Egg Nog sauce, which was delicious, but was not heated through enough. Our waiter was extremely friendly and polite attended to each request we had, however, we felt that the duration of our meal and waiting for him to come back and check in was much to long- we spent almost 2 hours there for lunch, and our meal came out relatively quick- just the ordering process and getting our meal cleared/check sent over was what drew it out so long. I still would come back, though, as we have not had the same experience like that every time we've gone. Can't wait to go back in the summer when the patio is open again. Everything about the Hudson Garden Grill is wonderful! Very disappointing after a great time last spring. The food is overpriced without a lot of variety. Drink menu is limited. And if I'm going to pay $60 bucks for brunch...don't serve me coffee in a porcelain cup with a wood stick stirrer. Not cool. The selection and quality was disappointing. While the menu was designed to match the theme of the orchid festival, the selection was very limited and the taste was not authentic. The service saved the day.